There are hundreds of apps or extensions that can extend the functionalities of your existing Shopify e-store. From optimizing your site for better rankings to digital marketing across social media or even drawing site-traffic using the original customer reviews, you have an app for almost everything. Each app claims to offer a special feature that can either boost your sales with highest ROI, or enhance the customer experience and drive traffic to your site. However, you can’t possibly install all the available extensions to your site. Store owners need to have a clarity on what exactly they need, to maximize their revenue goals and enhance their customer experiences. Pushflew is one of the best apps for shopify push notifications & customer engagements. It gives you a freehand to decide how and when you want to connect with your users and lure them back to your store. Pushflew notifications can be sent in real-time to both – mobile devices and desktops. Users can access them irrespective of their location, and even if they are not logged-in to your site. The messages can be drafted to notify the customers about the upcoming sales, deals, promotions, time-based campaigns, cart abandonments and more. You can also add custom images to make them more appealing, or personalize them according to the users shopping habits and online interests. Pushflew’s direct and short messaging helps in generating higher page views and higher click-rates, that in turn – increases your revenue. Pushflew also has wordpress version available here. Appificart is an excellent mobile app extension for Shopify hosted sites, that can increase your mobile conversion rates without being too expensive. It offers a complete solution with several features to extend your store into an app – on both Android and iOS platforms. The various elements of the customizable base themes can easily be altered to match with your brand, and it offers numerous functionalities to set up the catalogues with unlimited products, along with smooth swipe-gestures. Also, any change you make on your website (in terms of product categories, catalog, orders or user profile), gets reflected on your app too, and vice versa. Appifycart even allows you to send push notifications to your customers, and provides easy integrations with Google analytics, social logins as well as the popular payment and shipping gateways. 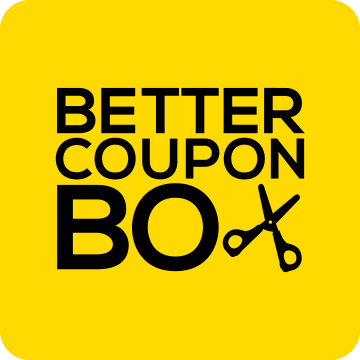 Better Coupon Box has been a popular marketing plugin in Shopify since a long time. It allows you to create several kind of discount code popups to be displayed on various social media platforms, for grabbing the visitor’s attention. The pop ups are used to increase your social fan base in Facebook, Twitter, Instagram etc, and to get more people to subscribe to your newsletter. Better Coupon Box provides enough tools and templates to customize and create unique pops ups to match with your store theme. The coupon codes are uniquely set for each user and is valid for a single use, to avoid over usage. The smart exit-intent popups, target the visitors who are about to leave your store and attempt to lure them into signing up. The email integrations allow your email list to sync smoothly with the popular email services like Constant Contact, Mailchimp etc. 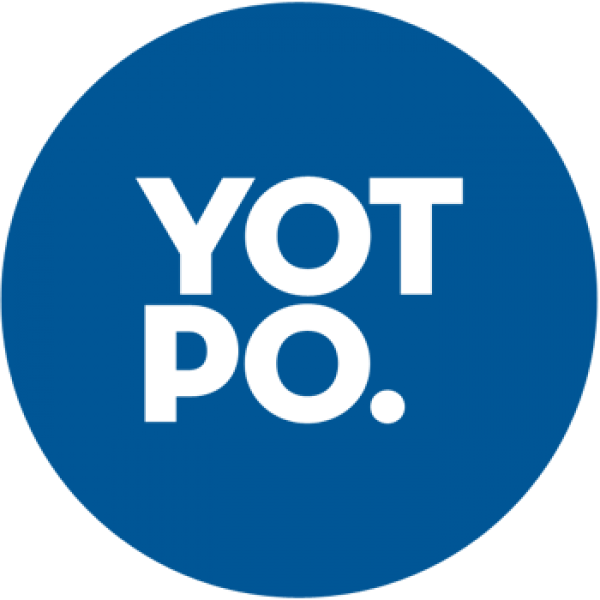 Yotpo is more of a user-generated content marketing platform. It allows you to easily get the product reviews on both on-site and signature in-mail, from all those customers who have recently purchased from your site. Typically within one week of purchase, every customer is automatically sent an email for reviewing and rating the product. These reviews are then directly added to the website, for other potential customers to read and make decisions about that product. It also allows you to distribute the reviews across all social platforms to target a wider audience and acquire more traffic. The reviewing feature helps to increase the credibility of your site that eventually fetches more sales, as most people prefer buying from a well-reviewed popular website, than a site which they are unsure of. Yotpo also provides a good opportunity for customer retention and loyalty through customer engagements and interactions, comments and QnAs, and of course coupons. Cost – Premium package starts at $399/ mo. 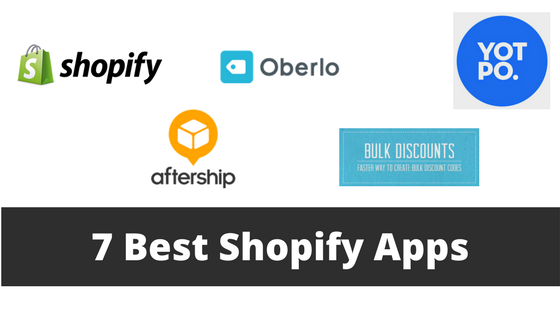 Oberlo is one of the best Shopify apps for dropshipping. If you want to run an e-store without the hassles of maintaining a warehouse or worrying about packaging and delivering orders to the customers, install Oberlo. Oberlo links your e-store with the popular AliExpress. It expedites the process of searching for thousands of products (from the AliExpress catalog) and adding them to your store, in just a few clicks. When an order is placed on your site, Oberlo automatically handles all the post-order requisites. From bringing up the ordered items in AliExpress, to entering the customer details in the order forms and getting the orders packed and delivered, it significantly minimizes your manual work and saves time. It even notifies the customer about the delivery and the tracking number. Using Oberlo, you can set up your own product margins for a variety of cost ranges. It even tracks the product inventory, and notifies you in case the supplier changes the product-price. Bulk discounts is an interesting app that lets you generate thousands of unique discount codes for the products in your Shopify store. The codes could be for single, limited or unlimited use, that expire after a certain period. You can create large sets of discount codes or coupons either for monetary discounts or for percentage-value discounts. The app also tracks the conversion rate of each discount set, enabling you to keep the most profitable codes, while removing the least converting ones. It also allows you to import discount codes in huge quantities from third-party platforms as well. Bulk discounts is typically an upgraded form of Shopify’s ‘regular’ discount code feature, that requires you to have an access to the ‘regular’ feature, before it can be implemented. Cost – Free (requires basic Shopify plan or higher to use the app). AfterShip is one of the best and much needed delivery tracking app for all the ecommerce stores, and supports over 396 courier services (like UPS,PS, USPSUSPS or FedEx)), across 335+ countries. It automatically imports all your shipment details into one spot for easy tracking. It then provides the latest status update on each package, by detecting the correct couriers. You can filter your shipment tracking based on dates, status, couriers and destinations. AfterShip even notifies the customers about the progress of the shipment through automatic emails or SMS, thereby reducing the customer support.